Ten years ago, Susana Trimarco de Veron received the International Women of Courage (IWOC) award by the U.S. Department of State. 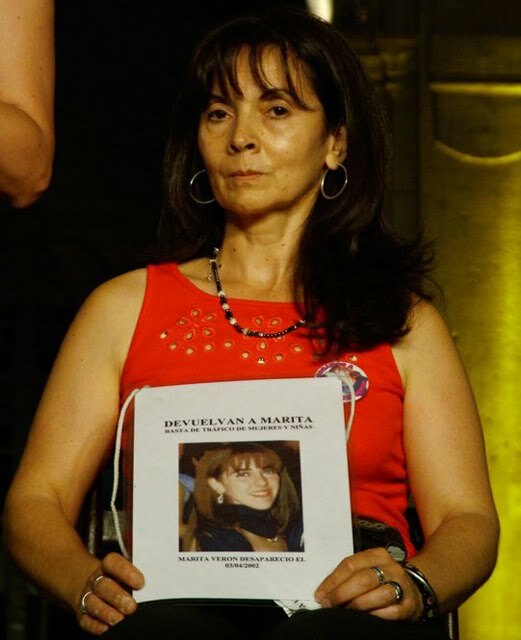 Ms. Trimarco de Veron faced danger and threats to her life in her efforts to combat human trafficking and find her daughter, who was kidnapped by traffickers. Desperate to find her missing daughter, Ms. Trimarco put herself in dangerous situations, disguised as a prostitute, trolling bars and alleys in search of anyone who might know her daughter's whereabouts. Despite false leads and death threats, she has uncovered evidence of trafficking networks operating in the Argentine provinces of La Rioja, Tucuman, Buenos Aires, Cordoba, and Santa Cruz. Thanks to Ms. Trimarco's work, human trafficking has gained public and government attention in Argentina, and more survivors of human trafficking in her country are coming forward. We caught up with Trimarco de Veron to reflect on her work since receiving the IWOC award 10 years ago. 1. In three words, what does courage mean to you? 2. What’s your favorite memory from the International Women of Courage Award ceremony? The moment I received the prize from Condoleezza Rice, a smart powerful woman who is an example to all women. 3. Which other International Women of Courage Award winners from your year stood out to you? Mariya Ahmed Didi and her struggle. 4. How did the International Women of Courage Award change your work? The award brought recognition at an international level and as a result, I was able to push forth a Human Trafficking Act in my country, which now remains in force. 5. What is the secret to getting things done and making progress on the issues that matter to you? To be persistent in fighting and remain continuously strong so as not to become weak in the face of obstacles. 6. What do you think is the biggest barrier to progress in your fight against trafficking-in-persons? Lack of collective commitment both on the part of individual citizens and social players as well as the state, since the latter has the obligation to secure our rights. 7. What’s the accomplishment you’re most proud of? Are there any projects you’ve worked on since the award? Since I received the International Women of Courage Award, I had the opportunity to carry out many projects for the benefit of society. I started a foundation that fights violence in all its forms, that focuses on trafficking-in-persons. My role model is Mother Teresa of Calcutta. She was an unbiased yet strong person not only spiritually but also ideologically, making it possible for her to change unfair situations faced by humanity—that’s my objective. 9. What should the next generation of women leaders know about leadership and courage? What can they do to continue your work? We all have to make a personal commitment and think about our capacity for change. Transformational change is in our hands and we must be confident about this.